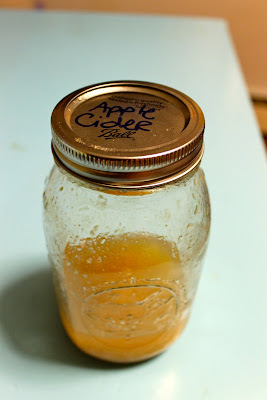 The weather is getting cold which meant that I was ready to crack open a can of my homemade apple cider. But I only I have three--which meant that I had to do something extra special with the one I was opening. 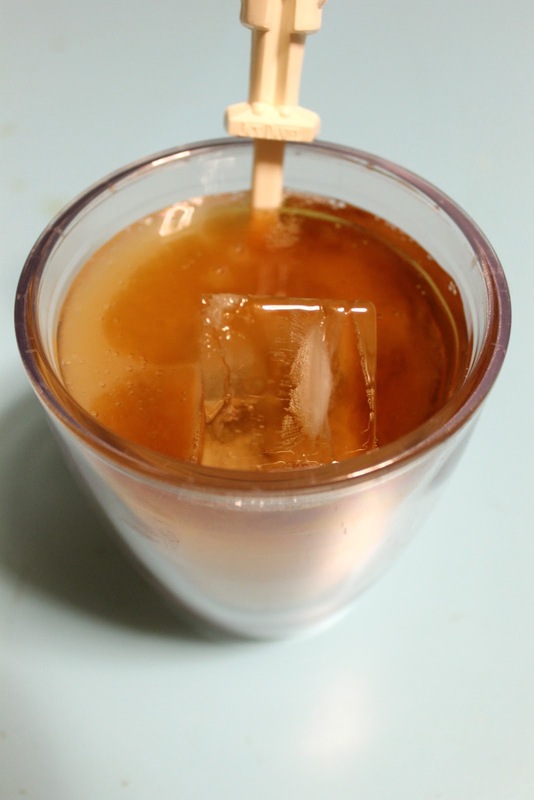 So I decided to make a drink I had been thinking about for a while now. It was inspired by Pinterest, but I added my own special twist with the liquor I used! The fun part about this drink is that you actually can use a variety of liquors to achieve similar ends. And there are only four ingredients, which, you just gotta love. This drink is the perfect seasonal drink to impress your friends for an in-home happy hour, enjoy during the holidays, or have a dessert drink. It's versatile...just like you! Okay, enough gab, let's get to the pictures. Warning: try not to lick the screen, although, I admit, it might be hard. 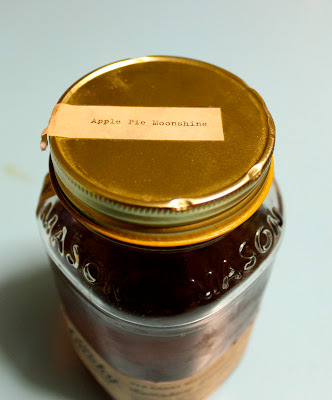 I used apple pie moonshine that someone gifted me. It was really exciting to open! You don't have to use apple pie moonshine, though. You can also use bourbon or vodka. I think you could also try rum (like a spiced rum) if you are into rum! Top view. I just had to share because I felt like the packaging was really cool. And apple cider. Very important. If you do buy store bought cider, which, let's face it, will be tons easier. Go with a high quality one that has good pulp in it. The pulp tastes amazing in this cocktail, so just trust me on this one. 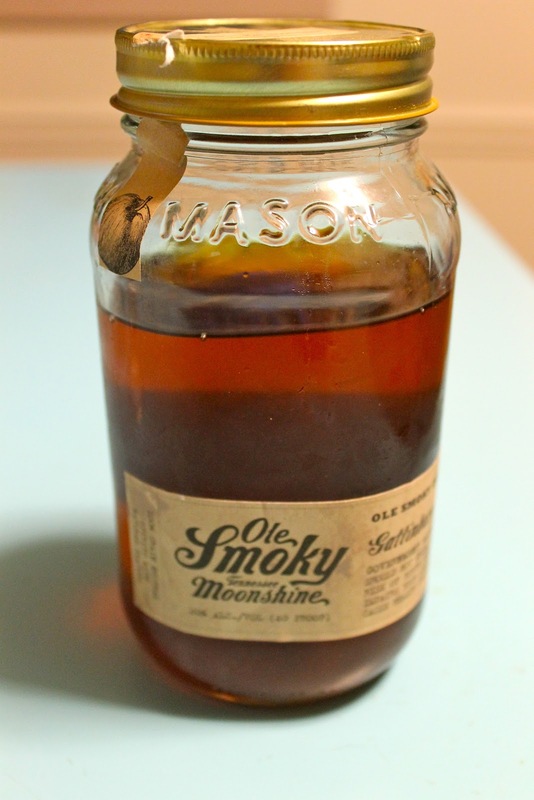 With my liquors I generally do a "3 count pour" which means that I count to three while I pour. Very scientific, I know. Then fill the rest of the glass with the cider! Mmmmmmm. Look at that swirl of yumminess going on in that cup! 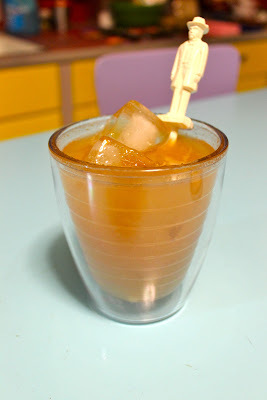 I used my little stirry man to stir this drink to perfection and then I drank it...while I wrote this post. It was good. You should make one! 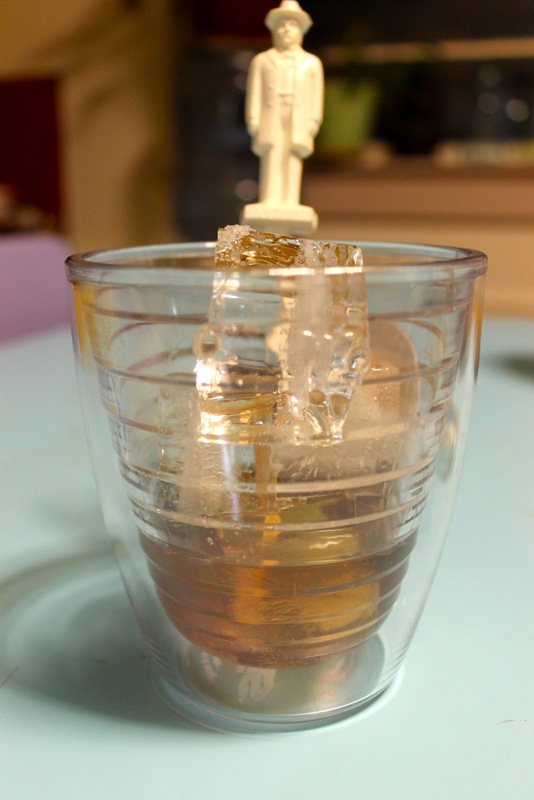 In your rocks glass filled with ice, place the sugar and vanilla. Pour the liquor into the cup, counting to two or three, depending on your taste. Fill the glass the rest of the way with the cider. 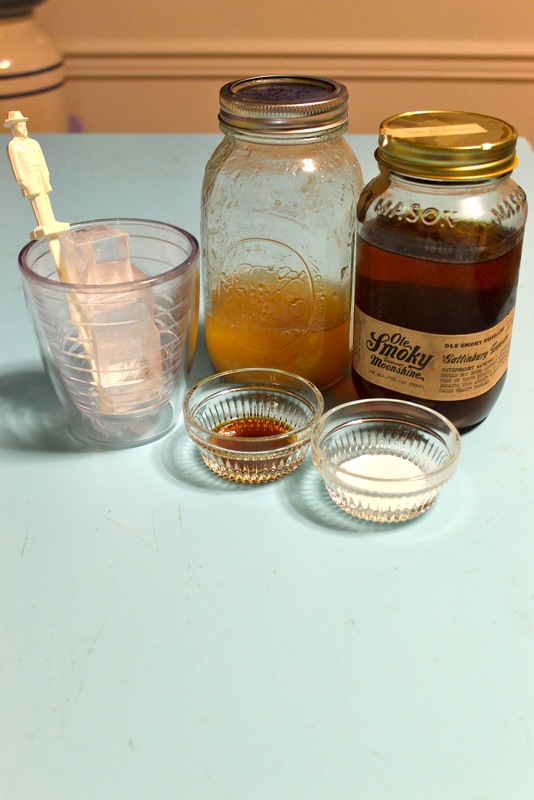 Stir with a spoon or stir stick. Enjoy!